It's been a good long while since I've opened one of these 09/10 Series 2 blaster boxes. 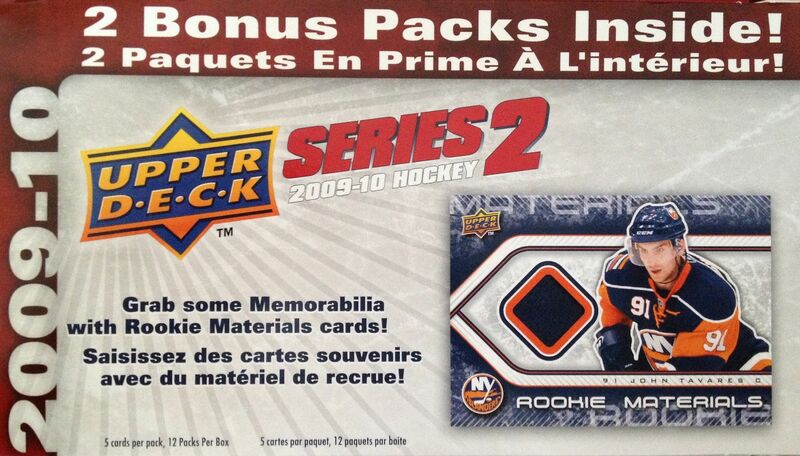 I remember these cards fondly as they were the first hockey cards I bought when I returned to the hobby. Though I don't really need any of the rookie cards found here anymore, it's still fun to open up one of these blasters for a trip down memory lane. Back in 2010 I bought a lot of UD Series 2 retail at my local Target store. I remember buying pack after pack out of the same retail box they had of the shelf. I almost bought out the entire box, but I didn't get one Young Gun card or hit. I wonder if that box was searched... or maybe I was just unlucky. I don't know, but I sure did spend a lot of money on a ton of base cards back then! I know that I'll be finding insert cards and Young Guns in this blaster. Upper Deck is always good about putting in a little variety when it comes to their main brand retail blasters to keep things interesting. I don't know why, but I always forget about the Victory update cards that can come out of these blasters. Putting these cards in the packs adds even more variety to the opening experience. Victory is definitely not a brand of card that is on my favorites list, but it's still nice to have a chance at pulling some rookie cards of the top players that year. I actually got quite a few non-base cards from this blaster. 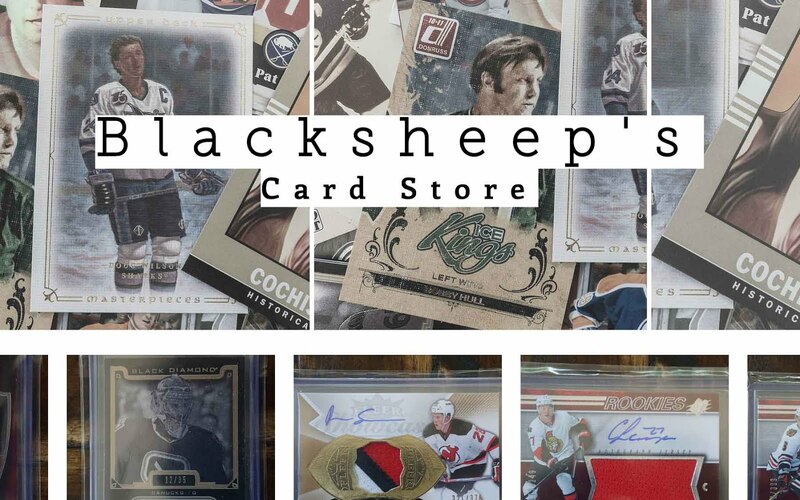 There was a Mark Messier Hockey Heroes card, a Draft Day Gems Mark Streit, and a Rookie Debut of Jonas Gustavsson. I remember fondly inserts like Rookie Debut and Draft Day Gems. They had a nice theme to them and added a little bit of fun to the set. 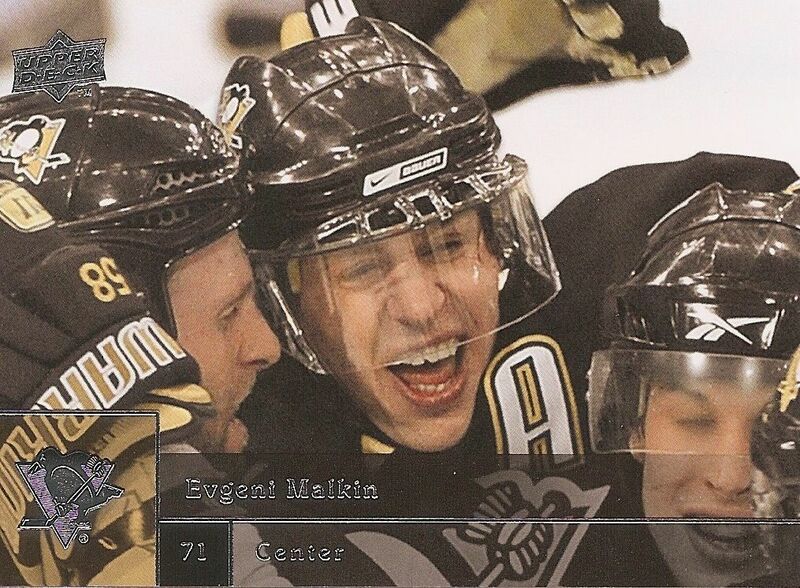 This card actually made the top 3 the last time I opened up a blaster of 09/10 UD Series 2 hockey. I guess I like it that much! Super photo right here. Hedman was one of the bigger rookies to get in 09/10. He was a very high draft pick, but because he plays defense his cards may never rise to the highest levels. 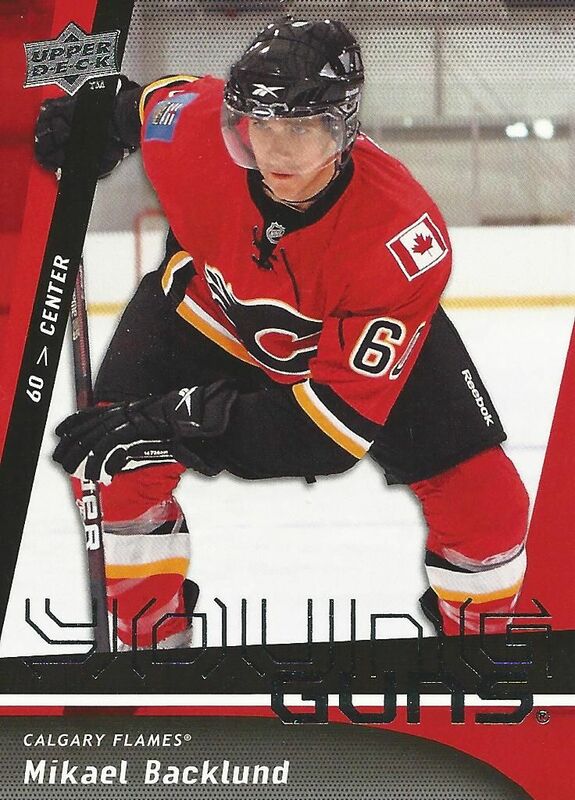 I didn't get a huge name Young Gun, but I do recognize Backlund from back in the day. I'll always be a fan of these Young Guns - they are always a pleasure to pull! This was not the best Series 2 blaster ever... but it was pretty solid. I really enjoyed the experience of opening it, and I think other collectors would too. 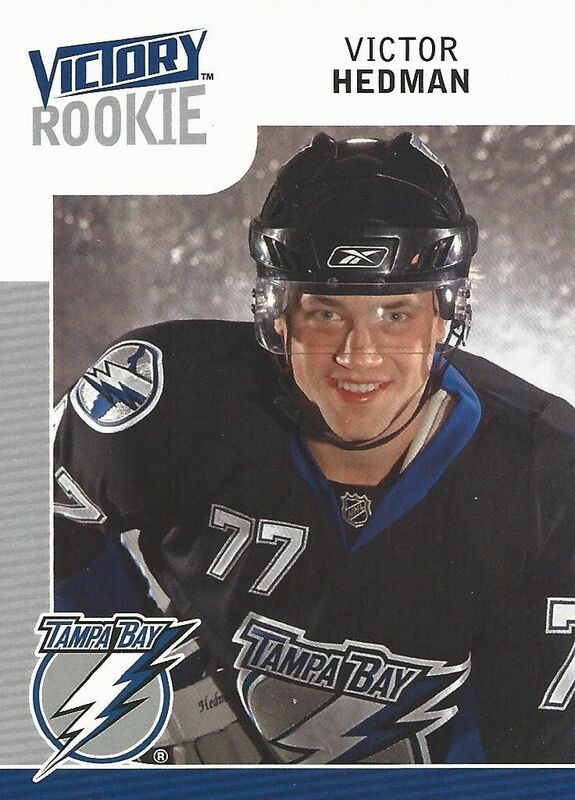 2009/10 was a pretty good year for rookie cards. 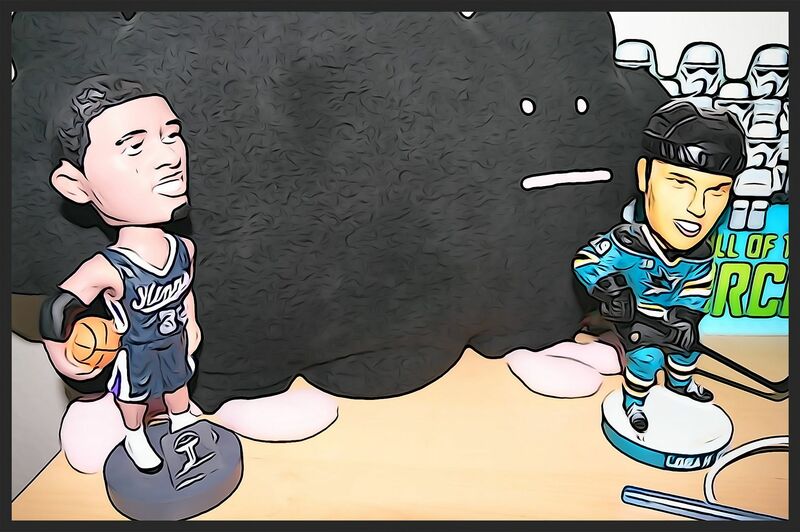 In Series 2 you can even have the chance of pulling my favorite player's Young Gun: Logan Couture. Though I've opened up a lot of these blasters, I definitely wouldn't mind busting some more in the future. 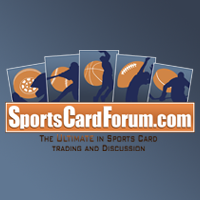 Let me know what you thought of my 09/10 Upper Deck Series 2 blaster in the comment section below. Have you ever pulled anything good out of one of these? I'd love to hear about it.